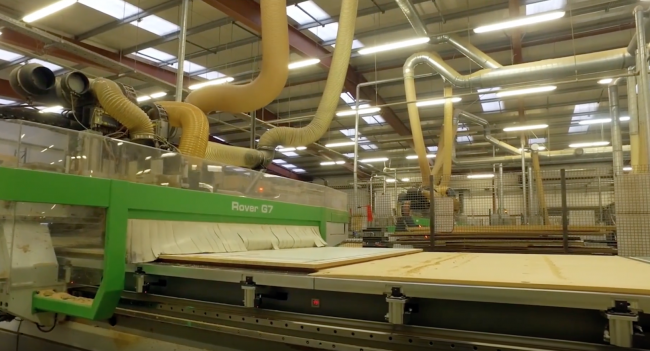 Northern Ireland based, manufacturing firm Woodland is creating 57 jobs as part of ambitious growth plans aimed at doubling the company’s turnover. The family business has invested almost £4million in a state of the art marketing suite in a bid to establish itself as a major player in the bathroom and kitchen furniture market. 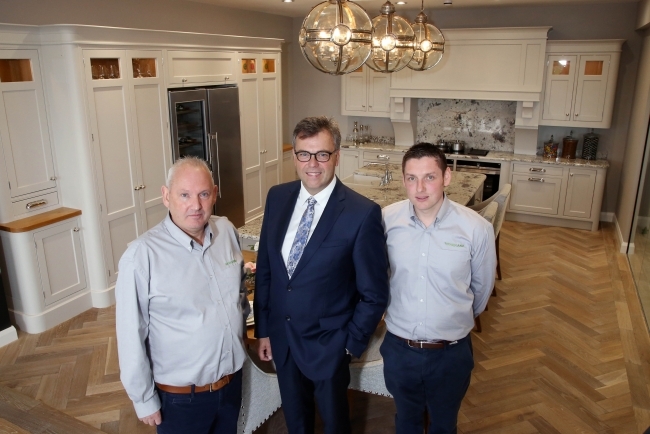 Welcoming the investment, CEO of Invest Northern Ireland, Alastair Hamilton said: “Woodland is an established manufacturer in Co Antrim, underpinned by a cycle of new product development and design that continually keeps it ahead of its competition. “With the support of Invest NI, the company is boosting its workforce by 57 staff so that it can secure lucrative opportunities in its key target markets of Great Britain and the Republic of Ireland. The new jobs will generate over £1.1m annually in additional salaries for the local economy and create skilled employment in the Causeway Coast and Glens Borough Council Area. Invest NI has offered £471,624 towards the creation of 57 jobs, the upskilling of staff and development of Woodland’s Epicor resource planning software. The new jobs, 30 of which are in place, include production operatives and roles in design, sales and IT. Managing Director of Woodland, Brian McCloskey said: “After a considerable amount of market research, design concepts and inspiration we are delighted to launch our new Product Development and Marketing suite, which coincides with our thirtieth year in business. “Our growth strategy in recent years has focused on positioning Woodland as a complete design and solutions provider. As a result, we have made encouraging progress in securing contracts to design, manufacture and supply cabinets to major distributors throughout Great Britain. “We have also experienced strong growth in the hotel and aparthotel sector for our contracts division by delivering projects in London, Edinburgh and Dublin. And, we’ve secured the contract to manufacture, supply and install the bedroom and bathroom furniture for the 304 bedroom Grand Central Hotel in Belfast.